Laura’s Irish wedding was nothing short of amazing. Held at the Inchydoney Island Lodge and Spa of County Cork, with the ceremony at a local church, the day could not have been more perfect! 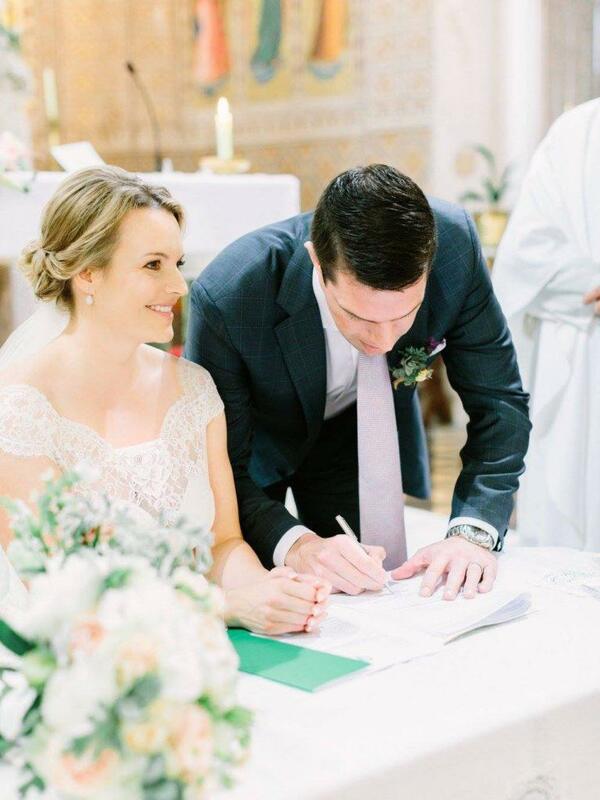 Laura opted for the Skyler gown by Augusta Jones – a timeless classic, which married perfectly with both venues. This gown features divine scalloped lace around the neckline, as well as a shimmering beaded lace through the fitted bodice into the soft flare of the skirt. 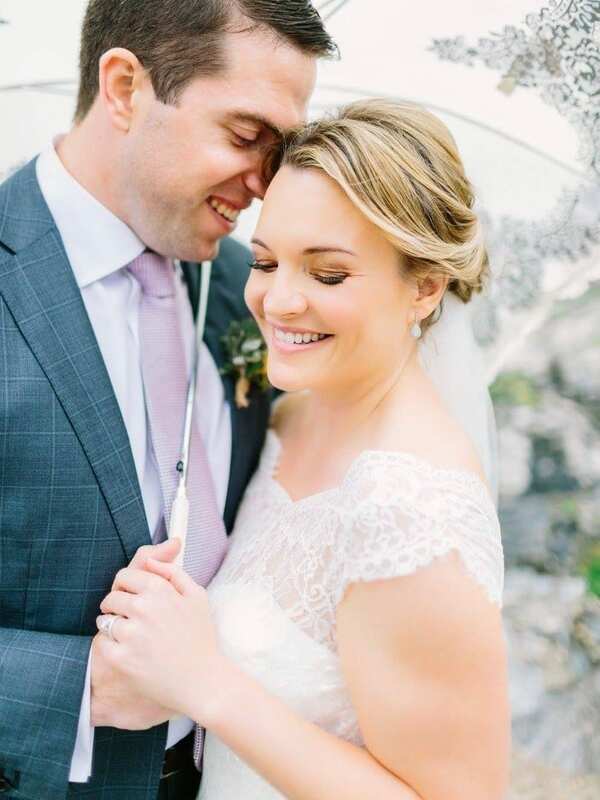 Our beaming bride also opted for a single-tier veil pinned underneath her loosely swept up-do. Following the ceremony, the newlyweds headed to the beach for photos and then hit the dance floor at their reception.